Living a frugal life is not all about making sacrifices. You can live a very comfortable life while still applying frugal living principles. The goal of frugality should ultimately be to be able to scale your finances while enjoying the same quality of life. Here are some frugal living tips that will help you stay on top of your finances in 2018. If you find that you’re wasting a lot of uneaten food, then you should make a few minor adjustments to either reduce the amount of food you make or store and/or reuse your leftovers correctly. Portioning and meal planning goes a long way and you should consider investing in a scale if you want to portion your food correctly. You should also consider buying a large freezer for extra storage. While it will seem like a significant expense at first, it will pay off later on. You can use it to freeze leftovers and stock up on frozen items when there’s a promo. Many of us end up going over budget because we eat out too often. But with the world at your fingertips, there is no reason for you not to learn how to cook your favorite meals yourself. You’d be surprised at how much you can save by cooking meals yourself. You’ll also be able to see just how much restaurant meals are being marked up. 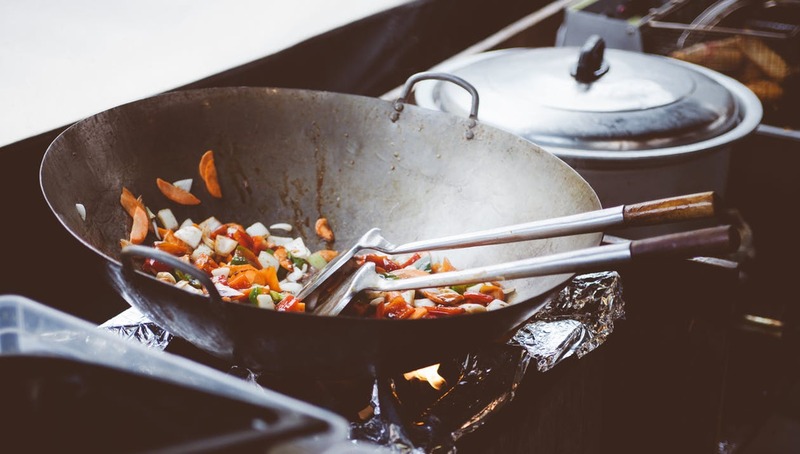 If you’re a big fan of Chinese food for instance, why not learn how to cook it yourself? Most recipes are much easier than you may think, and you can find full recipes online and on YouTube. All you have to do is to go to a specialty grocery store and stock up on the basics. You’ll then be able to prepare full takeout meals from home without the price. And if you’re absolutely going to order out, make sure you go online and check for offers before you do. Site like eCoupons Hub have tons of great deals you could take advantage of. Now that you’re a master chef, why not take your delicious meals to work with you instead of spending money on lunch? $8 per day on a meal might not seem like much, but it can easily add up. If you do that 5 days a week, that’s $1600 per year on lunches alone! You could easily cut down by a third by cooking your own meals and using that microwave instead of skipping to the nearest Chipotle. How much do you spend on a monthly basis on shampoo, face masks and manicures? Did you know that you could make pretty much any beauty product from the comfort of your home? What’s better is that most DIY beauty product recipes are mostly made from natural elements, which will protect your hair and skin from sulphites and parabens. And there are tons of great recipes for DIY hair products online as well to choose from, so get creative and start making your own cosmetics if you want to save on beauty products. These tips will allow you to cut down your expenses without having to stop enjoying the things you like. If you follow these tips, you’ll be able to save a significant amount of money by the end of the year with little effort.